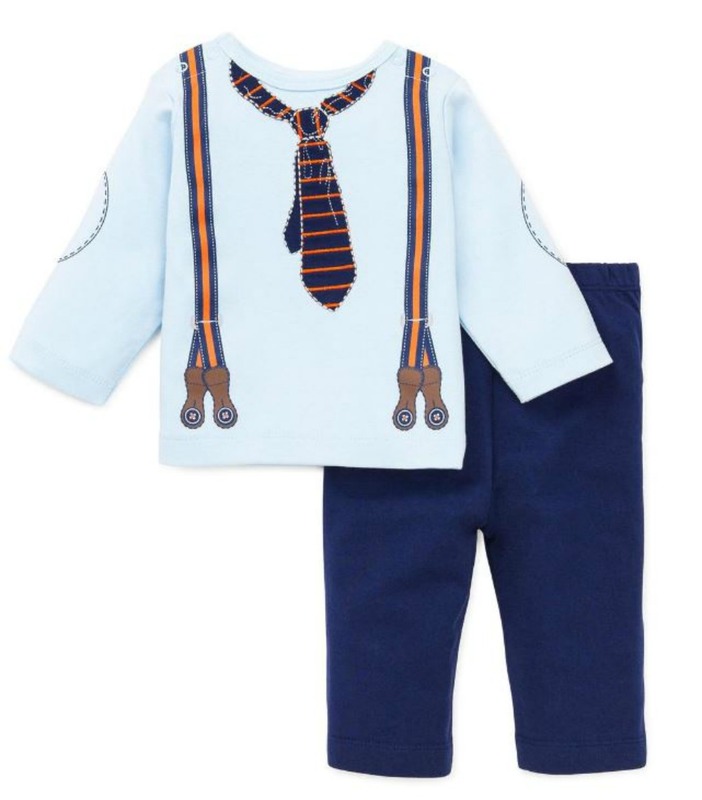 Fabulously dapper little boys pant set in cotton features light blue knit top with mock suspender detail. Pull on knit pants with elastic waist in navy complete the look. Machine wash. Imported.